Verizon has the Lumia 928 and the older Lumia 822 up for grabs in its store, but another Windows Phone may be headed to Big Red. Windows Phone Central claims the Lumia 929 will hit the checkmark carrier's shelves quite soon - Nov. 6 to be exact. The 929 will supposedly sport a 20MP camera and 1080p 5-inch display, costing you around $500 (about £309, AU$535) off-contract. 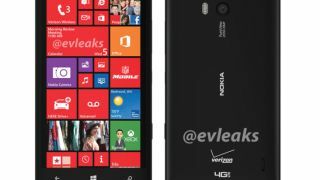 WPH notes that the Lumia 929 release date coincides with the massive Lumia 1520's own launch, a rumored first-time phablet from Nokia that seems to be headed for competitor AT&T in November. And perhaps a tablet too? A mysterious tablet may also join the Lumia 929 pretty soon. A recently outed FCC filing shows that a Nokia device called the "RX-114" has been approved - and Engadget noticed the report features LTE bands which can be supported on various carriers, including Verizon. The Lumia 2520 (a.k.a. Sirius) has already made the rumor rounds as Nokia's first tablet and could be the device in question. We'll find out more quite soon at Nokia's upcoming Oct. 22 Abu Dhabi event, especially since a combo of six phones, tablets or whatever might just show up. Need to know what phones Verizon has to offer? Check out our list of the latest and greatest here!